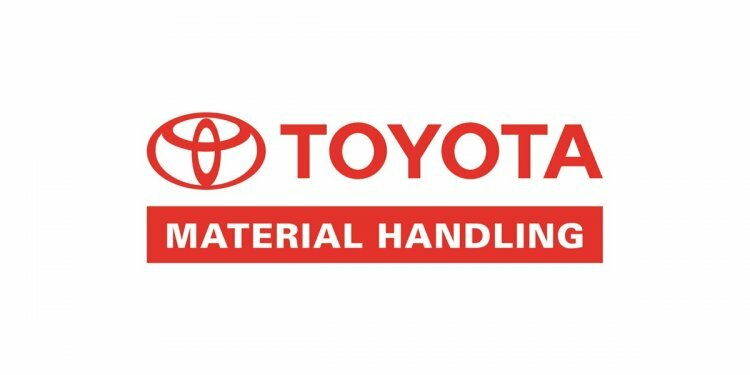 The Brisbane branch of Toyota Material Handling has officially opened new, larger and purpose-built premises close to the Logan Motorway at Larapinta. The ceremony, held on March 21, climaxed when famed axeman David Foster chopped through a log with a ribbon attached to it. The move to 20 Radius Drive, Larapinta, provides a raft of benefits for new and existing Toyota forklift and skid-steer loader customers. Speakers at the opening ceremony were Toyota Material Handling Australia (TMHA) President and CEO Terry Unnai, Vice President and COO Steve Takacs, Northern Region General Manager Dan Williams, MC and former rugby league great Ben Ikin and special guest speaker Linfox Executive Chairman Peter Fox. Steve Takacs said the move would raise service levels, reduce delivery times for new equipment and improve technician training. "Strong market share growth in recent years and our commitment to supply industry leading after sales service support has led to TMHA making a major investment in the future of our Brisbane-based branch, " he said. "Currently, the branch has over 100 staff supporting our customer base, including a major investment in apprentices, OHS&E and customer service. "TMHA's Brisbane branch will also support the region with a larger short-term rental fleet comprising both electric and internal combustion counter-balance trucks. "The aim is to continue to build its operations nationally ensuring world's best products, industry leading after market service and customer support, " Mr Takacs added. More than 170 guests at the March 21 ceremony witnessed a tree planting ceremony of a Japanese maple tree. They were also given guided tours of the new premises, and each received a football signed by Ben Ikin and fellow league legend Shane Webcke, as well as a commemorative cardboard signed axe by David Foster. The new 6000m2 TMH Brisbane workshop is state of the art and three times the size of the previous premises at Darra. "The new workshop has already increased efficiencies, through better organisation, as well as providing higher service levels to our forklift and Huski skid-steer loader customers, " Dan Williams said. Mr Williams said the new premises had also increased the speed of machine delivery by bringing storage of new machines onto the same site as the pre-delivery workshop. "The new facility has 30 repair service bays and 30 pre-delivery bays, with space to grow the workshop as required and also to handle additional products in the future, " he said. "It has a customer lounge, spray booth, wash-bay that uses recycled water and overhead gantry, as well as storage space for new stock and short-term rental forklifts." There is 1000m2 of office space, 6000m2of hard-stand area for loading and unloading, as well as a new unit showroom and technician training facility. Toyota began forklift operations in Queensland in 1986, when Mr Williams' grandfather, the late Sir Sydney Williams, opened Willtrac. The company moved its base to Darra in 1988 and was purchased by TMHA's parent company TICO in 2003. The branch changed names to Toyota Material Handling (QLD) in 2005 to reflect the full product range of Toyota forklifts, skid-steer loaders and towing tractors, BT Lift Trucks and Raymond forklifts.